"She can't fool all the fans all of the time ..."
The Stains is a little punk band made up of two sisters and their cousin. Corinne, one of the sisters, gets a little media attention for her personal life, leading to a gig opening for the Metal Corpses. As more media attention on the road transforms her into a punk diva, stresses between band members threaten to tear everything apart. 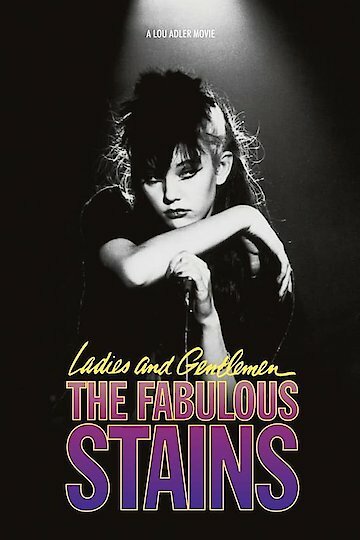 Ladies and Gentlemen, The Fabulous Stains is currently available to watch and stream, buy on demand at Amazon, Vudu, Google Play, iTunes, YouTube VOD online.